Over my lifetime patience has not been one of my strongest virtues. But as I have grown older I have learned through personal experience that waiting on the Lord and His perfect timing are key to God’s plan for my life. No matter the circumstances, God, in His infinite wisdom, knows “what” is best for me and “when” and “how” it is best accomplished in accordance with His will. Psalms 40:1-3 – I waited patiently for the Lord; He inclined to me and heard my cry. 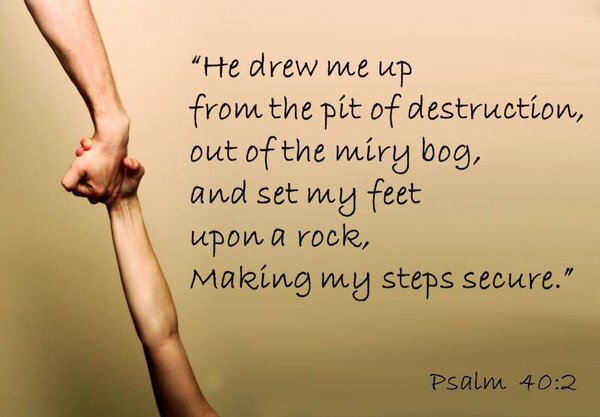 2 He drew me up from the pit of destruction, out of the miry bog, and (He) set my feet upon a rock, making my steps secure. 3 He put a new song in my mouth, a song of praise to our God. Many will see and fear, and put their trust in the Lord. David recalled a time when he was at a low ebb in his life. He likened his circumstances to that of being in a “pit of destruction.” He described the pit that held him as dark and wet. He was virtually trapped in a miry bog with seemingly no way out. David knew that his own attempts to escape the pit were futile. So he turned his circumstances over to God and waited patiently for the Lord to provide His answer. In His own timing God set David’s feet upon a rock, making his steps secure and drawing him out of that pit of destruction. God placed a new song in David’s heart and he responded by singing with thanksgiving and praise. Are your circumstances seemingly beyond your control? Are you bogged down in a personal pit of destruction? Upon whom are you depending for deliverance? Get your feet out of that miry bog! The Bible teaches that Jesus is the Rock of our Salvation (Deut 32:15; 2 Samuel 22:47; Psalm 89:26; 95:1; 1 Peter 2:4-8)!! Cry out to Him, wait patiently on Him to answer and In His time He will Set Your Feet Upon The Rock. Dear God, You know my every need even before I do. Teach me to pray like Jesus. Help me to be submissive and patiently wait upon You to set my feet upon the Rock and make my steps secure. In the name of Jesus, amen and amen. 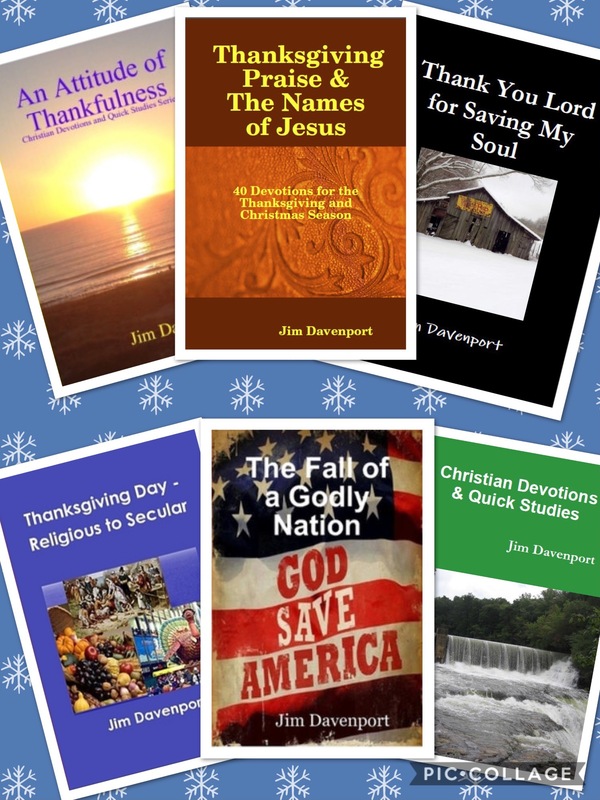 Gallery | This entry was posted in Bible Studies, Christian Devotions, Uncategorized and tagged 1 Peter 2:4-8, 2 Samuel 22:47, bible studies, Christ, christian devotions, depending on God, Deut 32:15, devotions, give thanks, God, heaven, Jesus, Lord, miry clay, patience, Psalm 40:1-3, Psalm 89:26, Psalm 95:1, thanksgiving devotion, thanksgiving praise, Thanksgiving Prayer, the pit of destruction, the Rock of Salvation, waiting on the Lord. Bookmark the permalink. Ben Pethel (email) – Very timely thoughts my friend. Jud Vaughn (Facebook) – Jud Vaughn A great position for you to take! It would be wise for every Christian to do likewise. M J Killian (email) – Jim, thank you for writing encouragement for us! It’s true, as I get older I am more patient—it may just be I don’t have the energy to be impatient! Jerry Emerson (email) – Thanks Jim. Happy Thanksgiving to you and Charlotte. Great Devotion!